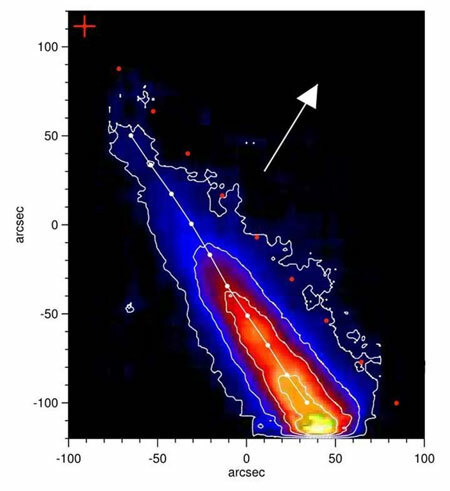 Before comet ISON raced past the Sun, it stopped producing dust and gas, as data from the SUMER spectrograph on SOHO show. 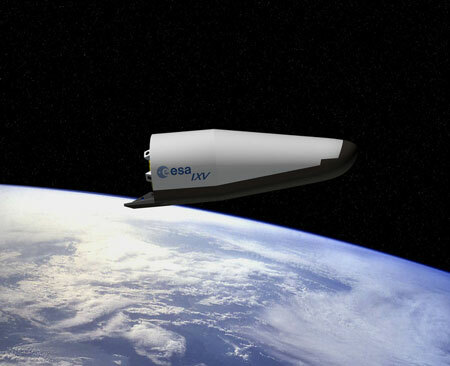 All eyes are on ESA's spaceplane to showcase reentry technologies after its unconventional launch on a Vega rocket this November. 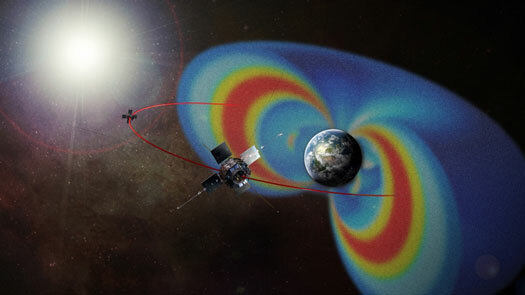 One of the great, unanswered questions for space weather scientists is just what creates two gigantic donuts of radiation surrounding Earth, called the Van Allen radiation belts. Recent data from the Van Allen Probes - two nearly identical spacecraft that launched in 2012 - address this question. 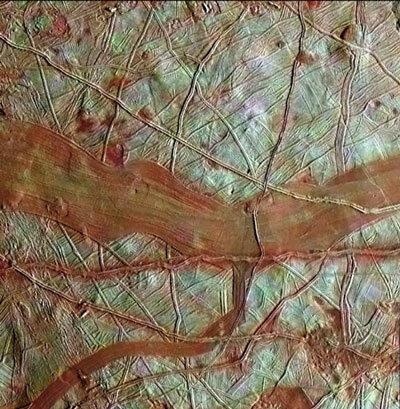 NASA has issued an Announcement of Opportunity (AO) for proposals about science instruments that could be carried aboard a future mission to Jupiter's moon Europa. 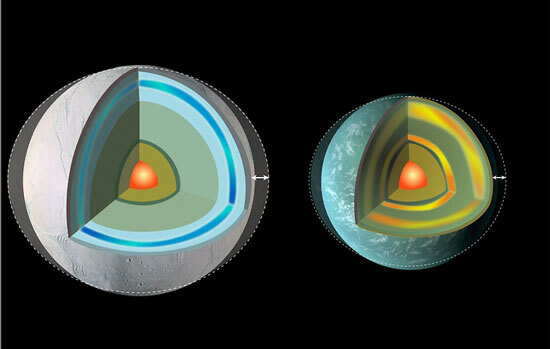 Selected instruments could address fundamental questions about the icy moon and the search for life beyond Earth. 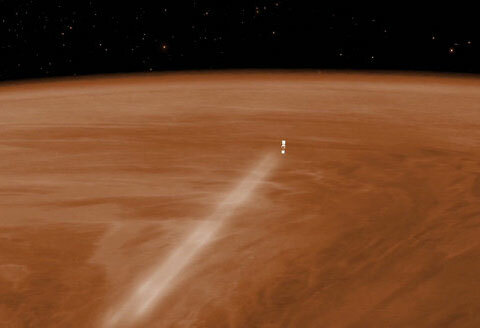 After a month surfing in and out of the atmosphere of Venus down to just 130 km from the planet's surface, ESA's Venus Express is about to embark on a 15 day climb up to the lofty heights of 460 km. 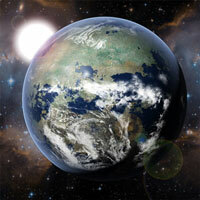 Amid revelations of a universe rich with planets, what's next for exoplanet hunters? Earlier this week, three planet hunters came together during a live Google Hangout to discuss the discovery boom, consider what state-of-the-art telescopes can - and can't - tell us about exoplanets, as well as ponder the likelihood of finding evidence of life on another planet. 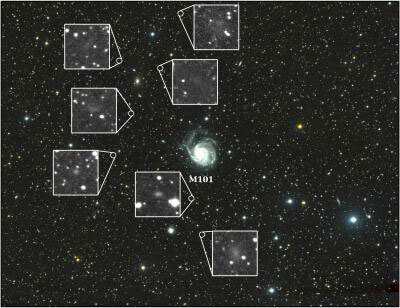 Meet the seven new dwarf galaxies. 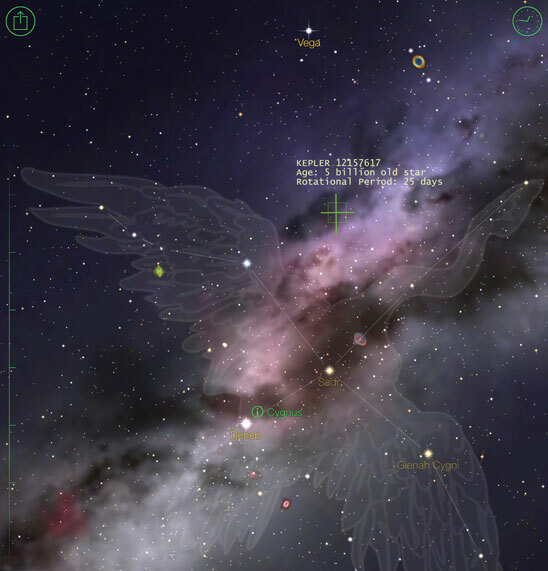 Yale University astronomers, using a new type of telescope made by stitching together telephoto lenses, recently discovered seven celestial surprises while probing a nearby spiral galaxy. The previously unseen galaxies may yield important insights into dark matter and galaxy evolution, while possibly signaling the discovery of a new class of objects in space. A new technique for measuring the age of a star using its spin - gyrochronology - is coming into its own. 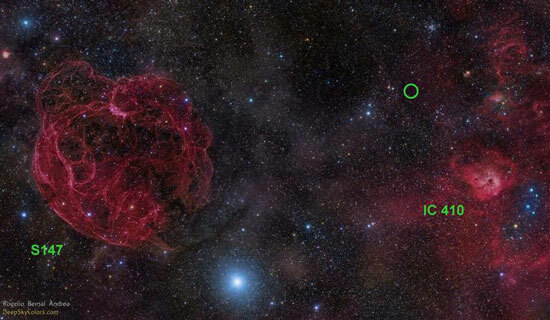 Today astronomers are presenting the gyrochronological ages of 22 sun-like stars. 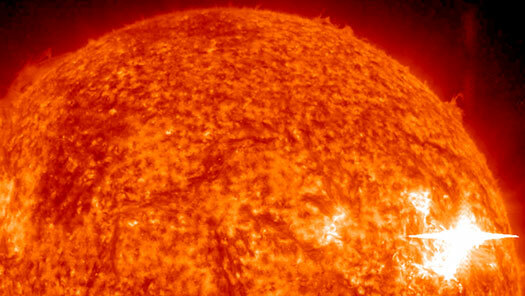 Before this, only two sun-like stars had measured spins and ages. 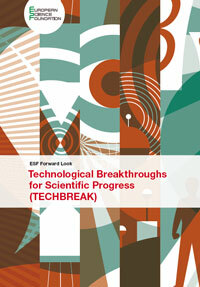 The European Science Foundation (ESF) has released a new report on 'technological breakthroughs for scientific progress'. 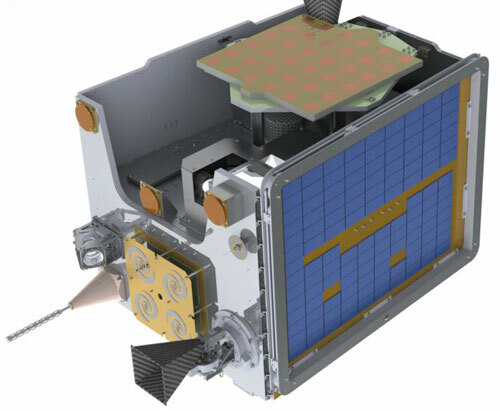 While the sector is known to be a key driver of society-benefiting innovation, both ESF and the European Space Agency are banking on part of its future lying in non-space technologies. 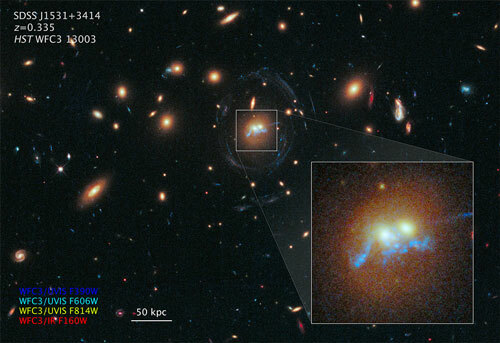 The Hubble Space Telescope has photographed an unusual structure 100,000 light years long, which resembles a corkscrew-shaped string of pearls and winds around the cores of two colliding galaxies. 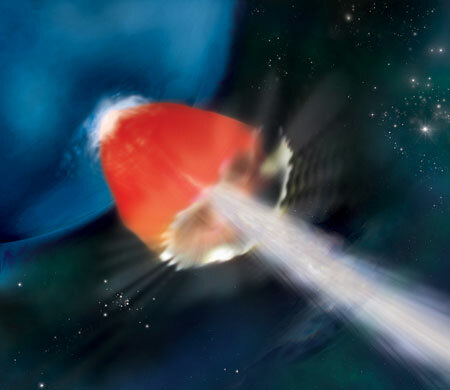 The discovery of a split-second burst of radio waves using the Arecibo radio telescope in Puerto Rico provides important new evidence of mysterious pulses that appear to come from deep in outer space. As anybody who has started a campfire by rubbing sticks knows, friction generates heat. Now, computer modeling by NASA scientists shows that friction could be the key to survival for some distant Earth-sized planets traveling in dangerous orbits. Technology that can create thermal maps of asteroids, giving us vital information about how their trajectories might change, is about to undergo trials in space. Understanding the sun from afar isn't easy. NASA's MESSENGER spacecraft - which orbits Mercury, and so is as close as 28 million miles from the sun versus Earth's 93 million miles - is near enough to the sun to detect solar neutrons that are created in solar flares. 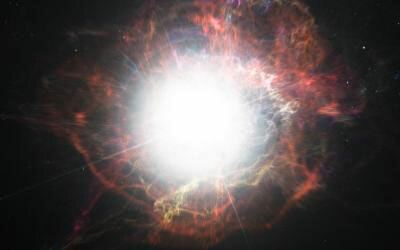 A group of astronomers has been able to follow stardust being made in real time - during the aftermath of a supernova explosion.